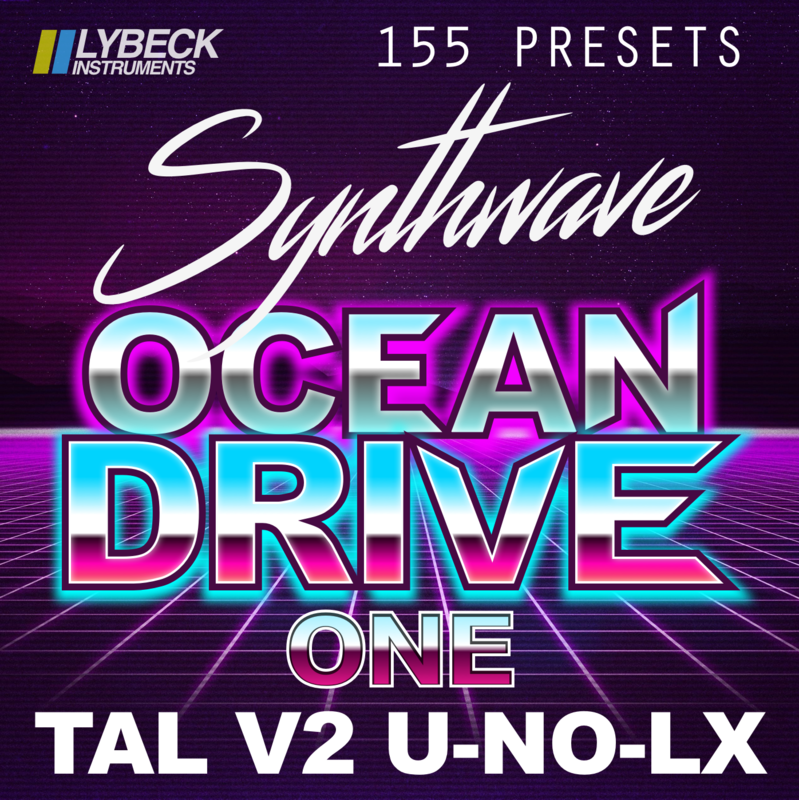 Lybeck Instruments - Ocean Drive ONE is the first release from the SYNTWAVE-series Ocean Drive for TAL V2 U-NO-LX. 155 quality presets, easy to use that fits perfect into your productions. 155 Presets in 8 BANKS - ARP, BASS, BELLS, DRUMS, FX, KEYS, LEADS & PADS.